If you watched the 2015 Oscars on Sunday, you might have noticed something you never quite realized before: Ansel Elgort is super tall! While being interviewed by Ryan Seacrest during E! 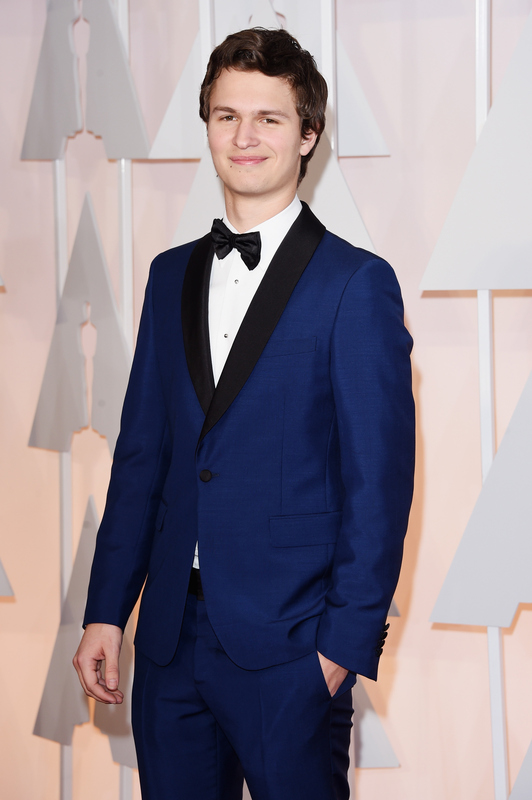 's red carpet coverage, I noticed Elgort towered over the host. This wasn't exactlysurprising since Seacrest is fairly short at 5'8", but then I looked to the people surrounding Elgort and Seacrest in the background and saw that the actor towered over them too. Just how tall is Ansel Elgort?! According to Celebheights.com (yes, this exists), Elgort is 6'3". But one source is not enough! We need to have the most accurate measurement possible! So, according to Healthyceleb.com (yes, this exists too), the actor is 6'4". Now, if neither of those are good enough for you, IMDb lists Elgort as 6'4". Taking all of this into consideration, let's say the actor stands at about 6'3/4", 6'4" on a good day. And he's at the Oscars, so, that was probably a damn good day.